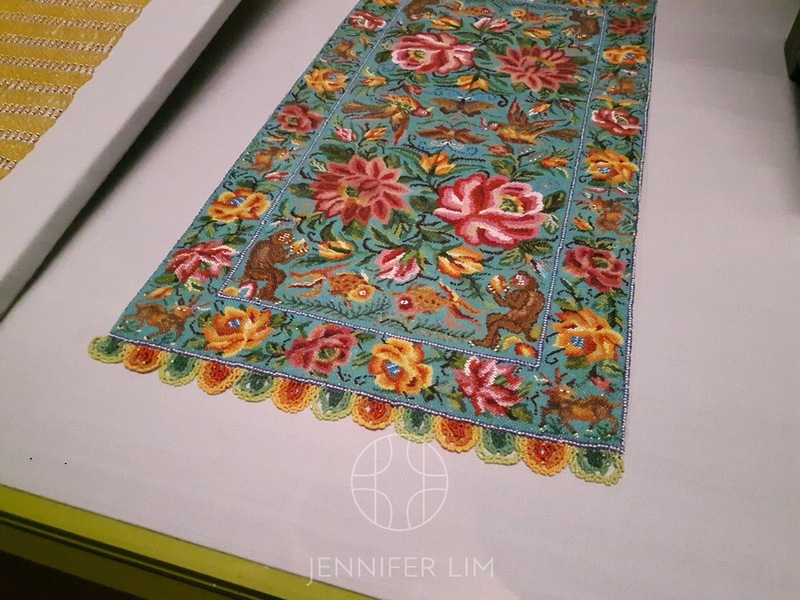 This fantastic exhibition is currently on at the Peranakan Museum in Singapore. 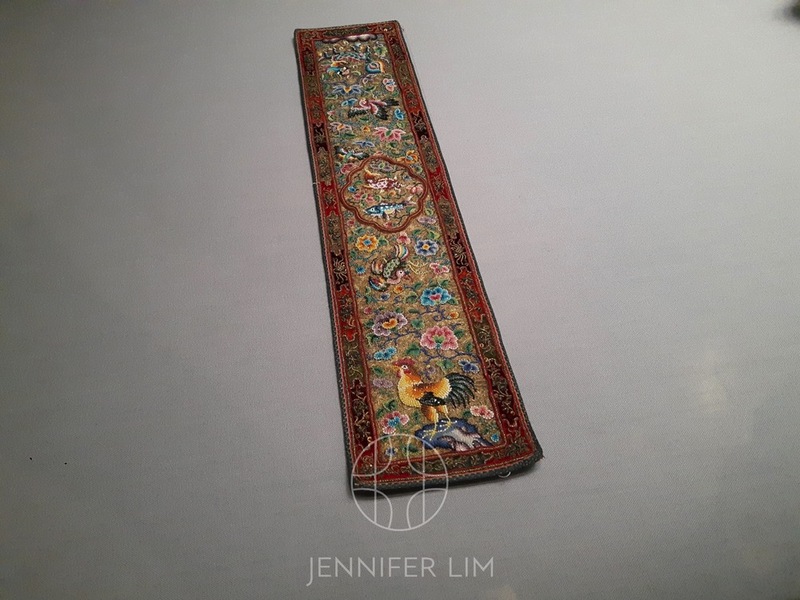 It showcases an exquisite range of beadwork and needlework mainly from the late 19th and early 20th century. 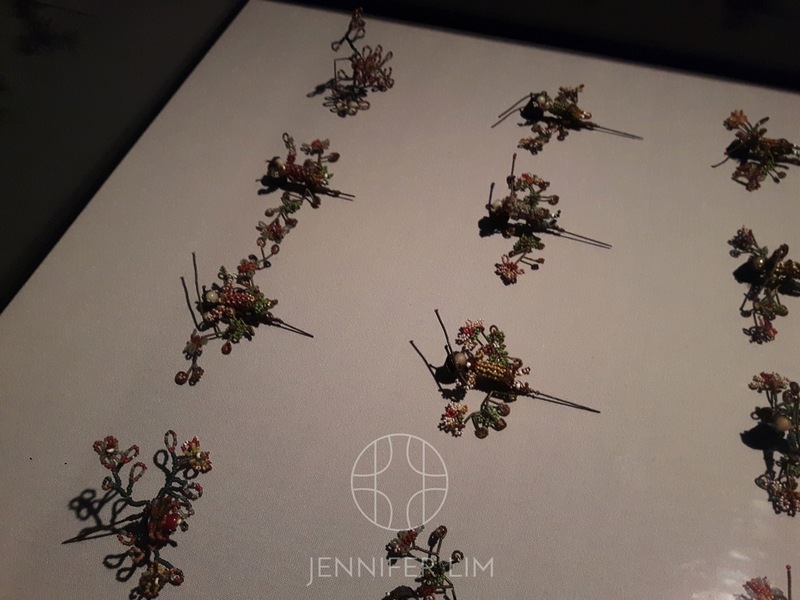 I was extremely impressed with the intricate and delicate exhibits that must have commanded amazing patience and attention to detail to produce. 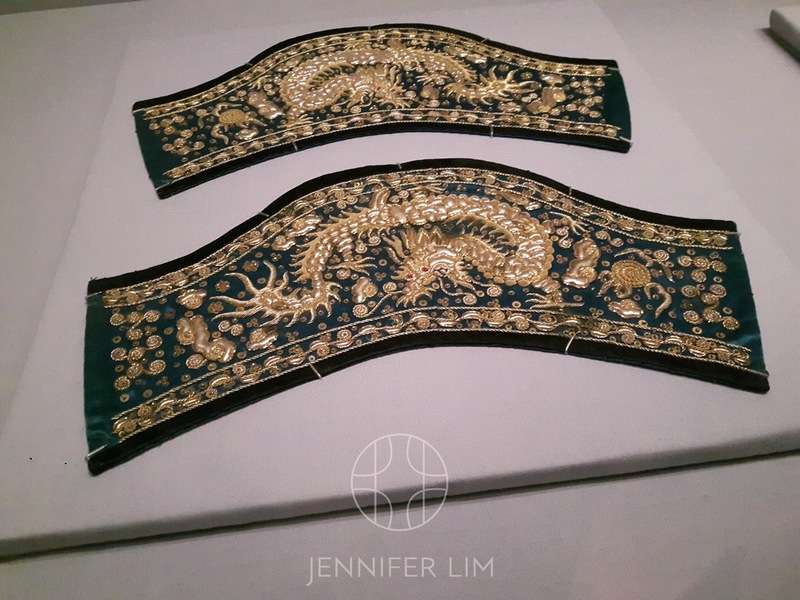 Don't forget that young Nyonya ladies were at the time judged by matchmakers and prospective families on their beading and cooking abilities! 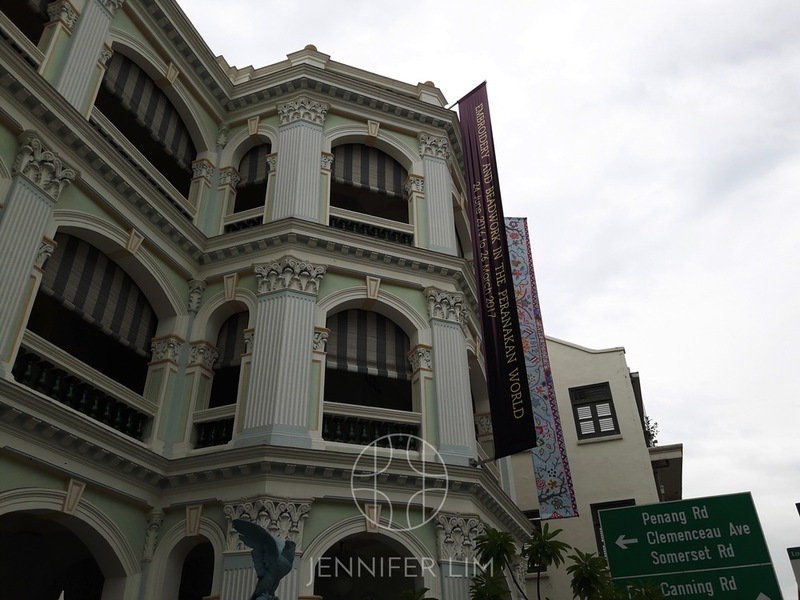 Located near City Hall or Bras Basah MRT stations on Armenian Street, the gallery is a former school built in the 'Eclectic Classical' style and is over a hundred years old. It's often called a 'boutique' museum and perfect for enjoying a guided tour led by friendly volunteer docents. 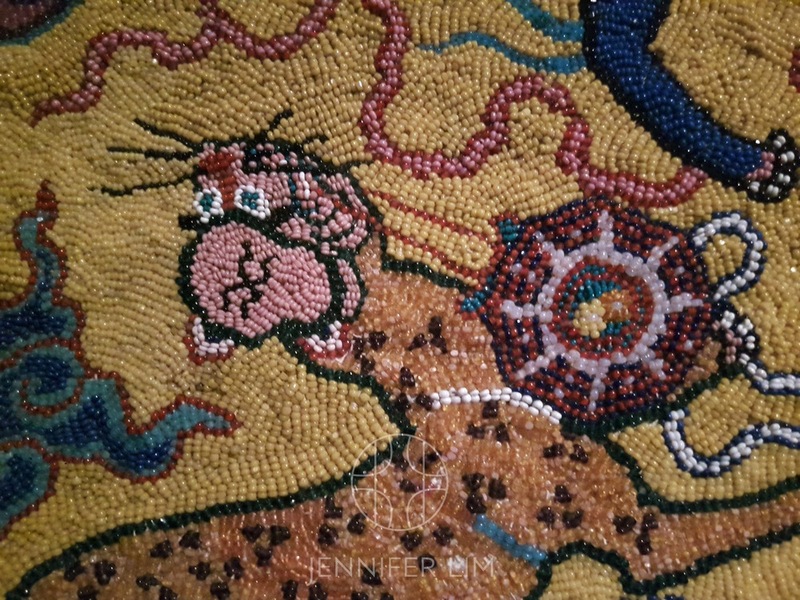 See museum details. 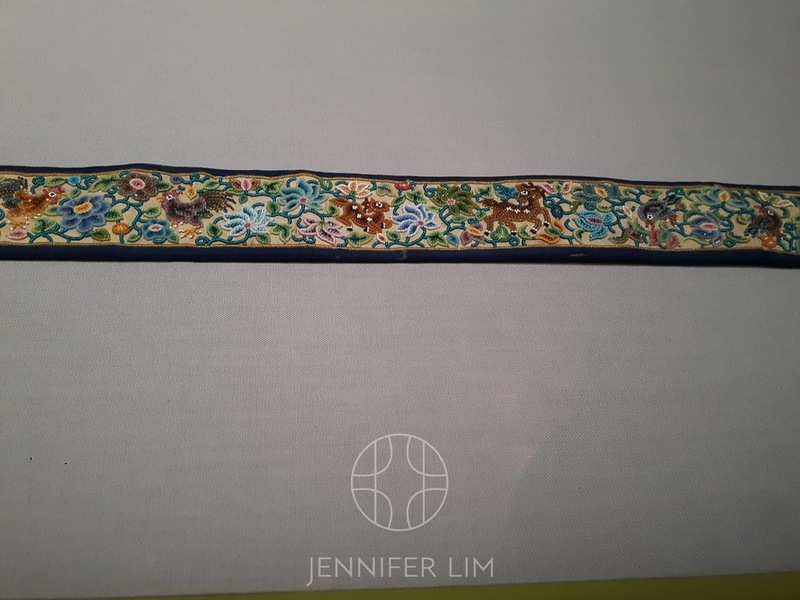 Raymond Wong teaches beadwork classes where you can learn to make your own kasut manek beaded slippers, purse or other items at his shophouse along East Coast Road. See their website for details. Craftsman Robert Sng runs this cute boutique near Arab Street and offers classes in beadwork. See also their Facebook page.